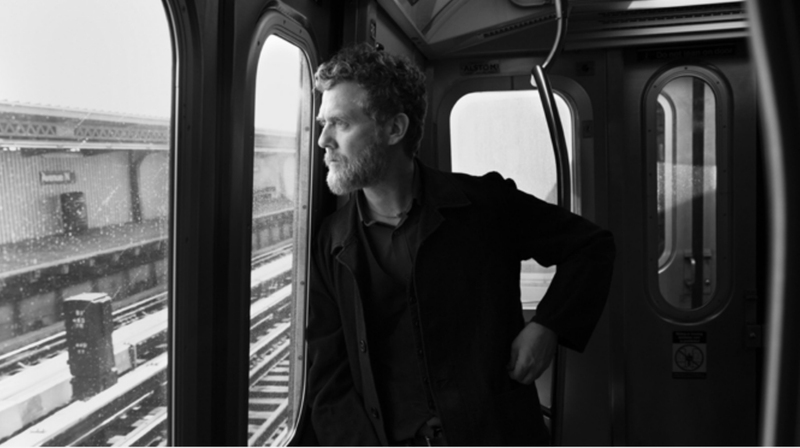 The US-Ireland Alliance will honor Irish singer/songwriter Glen Hansard at the 12th annual Oscar Wilde Awards on 23 February 2017. The event will again be held at J.J. Abrams’ Bad Robot production company in Santa Monica. Legendary for his live performances, Hansard will also perform at the popular, casual, Oscar week party. Abrams will emcee. Lexus is the sponsor of the concert portion of the evening. Hansard and Marketa Irglova won a 2007 Academy Award for Best Song with “Falling Slowly,” in the John Carney film, ONCE. The pair also starred in the film. Hansard was also producer/composer/lyricist for the musical stage adaptation of the film in 2012. Written by Enda Walsh, the Broadway show received eleven Tony Award nominations and won eight, including for Best Musical. It also won the Drama Desk Award for Outstanding Musical and the 2013 Grammy for Best Musical Theater Album. Hansard began his career as a busker in the streets of Dublin and formed his own band, The Frames, in 1990. He also appeared in the 1991 Alan Parker, BAFTA-winning film, THE COMMITMENTS. In addition to many albums with the The Frames, Hansard and Irglova released The Swell Season, the ONCE soundtrack, and Strict Joy in 2009. Hansard recorded a version of Bob Dylan’s “You Ain’t Goin’ Nowhere” for the 2007 film I’M NOT THERE. He has toured and/or performed with Bob Dylan, Bruce Springsteen, Ed Sheeran and Eddie Vedder. His solo albums include Rhythm and Repose and Didn’t He Ramble, which received a Grammy Award nomination for Best Folk Album. His songs have been featured in the soundtracks of THE ODD LIFE OF TIMOTHY GREEN and THE HUNGER GAMES. The Alliance is known for its George J. Mitchell Scholarship program, one of the most prestigious programs in the US. It sends future American leaders to Ireland for a year of study. The Oscar Wilde Awards was created to bring people together in the US and Ireland with hopes that creative and business collaborations come of it. The event’s biggest success can be seen in the final scene of STAR WARS: THE FORCE AWAKENS, which Abrams’ filmed on Skellig Michael, off the west coast of Ireland. Tourism Ireland projects that the film will mean about $4 billion for Ireland and the Skellig area was recently named by The Lonely Planet as a top ten destination for 2017.